As Senior Vice President and Chief Financial Officer for Pennsylvania Cable Network, Melissa's responsibilities include financial reporting and preparation of the annual budget. In addition, she oversees the Human Resource function for PCN. In May 2007, Melissa was appointed to the PCN Board of Directors as Treasurer. A 1991 graduate of Messiah College with a Bachelor of Science in Accounting. 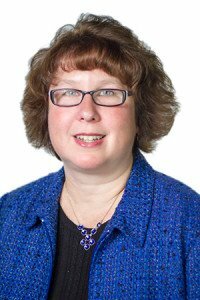 She is a member of the Institute of Management Accountants (IMA) and a past President of its Harrisburg Chapter. Additionally she is a member of SHRM, Society of Human Resource Management. Melissa serves on the Board for the Mechanicsburg Chamber of Commerce as well as 2019 Treasurer of The Hershey Region Antique Automobile Club of America (AACA). Melissa joined PCN in February 2007.